부에노스 아이레스 중심부에 위치한 King's Hotel은 오벨리스코와 유명한 푸에르토 마데로에서 도보 10분 거리에 있는 저렴한 숙박 시설입니다. 무료 Wi-Fi가 제공됩니다. 호텔 내 객실은 케이블 TV, 에어컨, 금고를 갖추고 있으며, 실내 욕실에는 다양한 용품이 마련되어 있습니다. 호텔은 유럽식 조식을 제공하며, 프론트 데스크는 24시간 운영됩니다. 또한 여행 준비를 도와드릴 수 있는 투어 데스크도 이용 가능합니다. I stayed here for 5 days as this hotel was cheap, though it can be very noisy as it is situated right next to a busy main road. I would highly recommend this hotel only to budget traveler, and do remember to bring ear plugs, especially if you are a light sleeper. The best thing of this hotel is the perfect location,. it is very easy to go everywhere. the hotel staff is very helfpful and the breakfast is ok. but the room is just so so and a little old. This was a good location for a brief stay of two nights while travelling. It is in the centre of the shopping district downtown, and close to the bus stations and domestic airport. 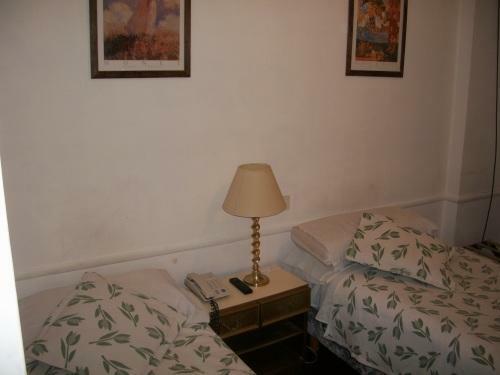 The room was tired but clean and the staff were very friendly and obliging. A good new coat of paint would transform this hotel. Room was noisy due to proximity to main street. literally located within the popular shopping belt, florida street. east access to subway. but hotel amenities are below par. breakfast was ok.
O ponto forte do King's Hotel é o seu preço e a sua ótima localização no cruzamento da Corrientes com a Florida, no Centro Comercial e financeiro de Buenos Aires. 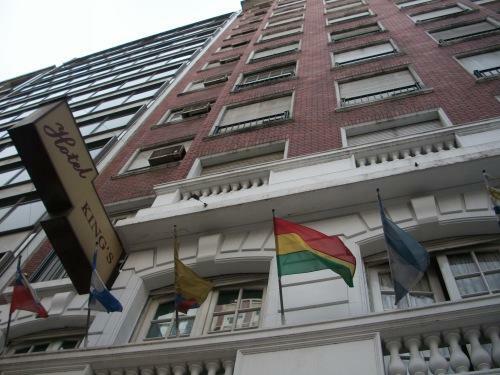 É um hotel antigo, com conservação regular. Não é o mais indicado para quem vai passar muito tempo no hotel, pois não tem uma estrutura adequada para o hóspede. 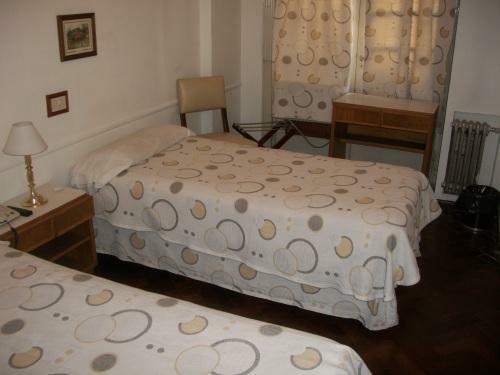 Serve para quem não precisa de luxo e só quer um lugar para dormir, sem gastar muito. bom hotel, mais nao existe box, pra gente tomar um bom banho, apos um passeio.